The Movado Men’s Safiro Black PVD Stainless Steel Watch is a really great looking piece from this iconic watchmaker. This men’s timepiece is elegant and masculine all at the same time. 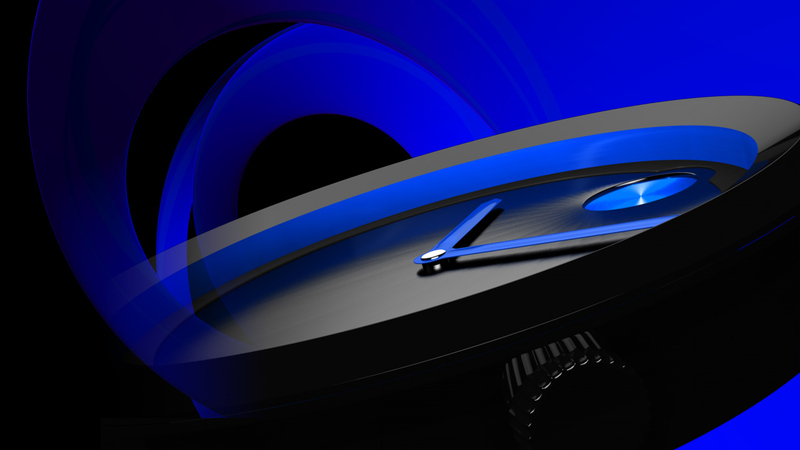 If you are thinking that the Safiro PVD is your run of the mill Movado Museum…think again. The black on black monochromatic styling makes this watch a stand out piece. Movado is known for their often simplistic design. Some may prefer a more complicated look, but I actually think this has longer lasting appeal. With a few needed adjustments, the bland Museum watch has been transformed into a sleek and sophisticated timekeeping instrument. The Movado Men’s Safiro Black PVD Stainless Steel Watch features a jet black dial, which offers no further embellishments. The only traces of functionality are the show of sword like arms, pointing to the hour and the signature Movado “Dot”. The black theme is carried through to the case and bezel. And then there’s the band…black, as well! The look of the Movado Men’s Safiro Black PVD Stainless Steel Watch will make a strong statement on any man’s wrist and the price will hardly make a dent in your pocket book. 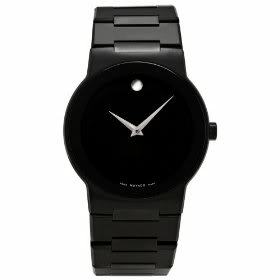 Check out this and the other watches from the Movado Museum line at Movado.com.